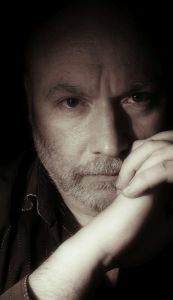 Welcome to the website of freelance music photographer and musician, Neil Fellowes - that'll be me. I'm a freelance music photographer, slowly gaining a following and a reputation for my work which has already included many concert images (I Speak Machine/Tara Busch, Depeche Mode, Steve Harley and Cockney Rebel, Jefferson Starship, Gary Numan, John Foxx and the Maths, Ultravox, Midge Ure and Howard Jones to name a few), photographs of electronic music studios around the U.K. including the MemeTunes Studio in London (owned by prominent U.K. electronica musician/producer, Ben "Benge" Edwards), as well as CD cover artwork for artists on the leading U.K. electronic music label DiN, owned by the renowned sound designer/synthesist, Ian Boddy and I have had images used on the Bob Moog Foundation website. I also do promotional band shoots and have a passion for Urban/Rural Exploration-style images. I am a classically trained keyboard player, performer and composer of electronic music, better known for my work under the name of Geigertek. Alongside my solo stuff, I am a part of a Norwich-based collective called Weathered Wall and 2014 saw the start of a new side project called F/R-F with my son, Callum Raeburn-Fellowes. Between 2008 and 2014, I released three albums and one E.P. through the leading U.K. independent music label AD Music, collaborated with veteran U.K. instrumental electronic music composer, David Wright and between 2009 and 2014, I was a keyboard player with international electronic rock group Code Indigo and played keyboards for the live performances of electronic music project Callisto. In 2014, I self-released my first two albums, one of which was with my son, Callum Raeburn-Fellowes under the F/R-F name. I have my own little home recording studio called the GTK Studio, and you can find lots more information and pictures of that by clicking HERE.